English, the supposedly funny language has known to be very flexible in adopting words from all over the globe. Its origins lie in every language of the world. We are all quite aware of its ability to pick up words from multiple languages. A relatively under-narrated aspect has been that of English words that find their origins in Hindi! Turns out colonialism wasn’t all about resources, but the intermingling of languages too. We bring to you ten such words that have (surprisingly) been picked up from the Hindi Language. Bangles dangle and jangle on the wrist, so one might also think the three rhyming words were related, but dangle is of Scandinavian origin, jangle comes from Old French, and bangle entered English in the late 18th century from the Hindi word bangṛī, which originally meant a colored glass ring worn on the wrist by women. Juggernaut has its roots in the Hindi word Jagannāth (Lord of the World), denoting a form of the Indian God Vishnu. The Jagannāth Temple in Puri in the Indian state of Orissa is a major Hindu pilgrimage site. During the annual Chariot Festival thousands of devotees pull huge carts bearing the temple deities in procession. Reports of pilgrims crushed under the wheels of the chariots gave rise to the English word juggernaut, meaning an overwhelming or unstoppable force. Thug is derived from the Hindi word Thagi meaning thief or conman. The popular definition of thug, however, seems to be very different. Tupac defined a thug as someone who is going through struggles, has gone through struggles, and continues to live day by day with nothing for them. That person is a thug and the life they are living is the thug life. The word is also usually related to hooligans or ruffians. The English word comes from Hindi word, Lūt. The word has been broadened to mean the ill gotten, illegal gains of robbers from people. Another British slang, Pukka means genuine. It has been taken from the Hindi word, Pakkā. The little chits that you’ve been passing all your lives are actually taken from the Hindi Chitthis that are one of the first forms of communication in India and worldwide. 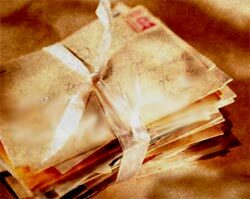 In English, a chit means a short letter or a note by someone. A transitive verb, Bangalore is an English word that means to fire a worker because his or her job is getting outsourced to an offshore company overseas. It’s a city in India by the name Bangalore, which was taken on verbatim as a verb. This city has most numbers of IT engineers and it started outsourcing American IT jobs. There’s a prevailing argument that this word is taken from Indian word Trikonmiti, which an ancient word is found in Sthapatya Upveda, one of the oldest books written in the world. Trikonmiti refers to a branch of Mathematics dealing with triangles and their constituent angles, parts etc. However, it is believed to move into other languages too before moving into the English Language. Jungle is taken from the Hindi word, Jangal. Pronounced in the same manner, the meaning of the word is forest. The only difference between the two words is that of spellings.